The Australian and New Zealand Association for the Advancement of Science (ANZAAS) Medal for 2016 has been awarded to Dr Ken Harvey, MBBS FRCPA, Adjunct Associate Professor, School of Public Health and Preventive Medicine, Monash University, Victoria. The medal is awarded each year for services for the advancement of science or administration and organisation of scientific activities, or the teaching of science throughout Australia and New Zealand and in contributions to science that lie beyond normal professional activities. Sir Gus Nossal and Sir Mark Oliphant are previous winners of the ANZAAS Medal. 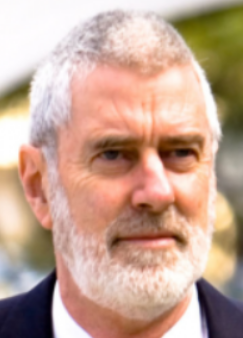 Dr Ken Harvey is an Executive Member of Friends of Science in Medicine (FSM), and has a national reputation as a strong champion of evidence-based medicine and treatment. “Ken is a constructive and therefore effective critic of the regulatory agencies established to protect consumers,” said Professor Dwyer. “His public commentaries highlight his skills as a talented communicator of scientific knowledge. We are delighted with his well deserved recognition from an organisation focussed on the advancement of Science”. “A number of purveyors of complementary, alternative and integrative medicine also make unethical claims. So what to do? Marshal the evidence; flood the regulators with complaints, engage the media and agitate for policy change. In these endeavours, I have been encouraged and supported by many like-minded groups, colleagues and friends: Therapeutic Guidelines, Health Action International, Friends of Science in Medicine, Australian Skeptics, AusPharm, the Australian Consumers’ Association, Consumers Health Forum, Therapeutic Goods Advertising Complaint Resolution Panel and colleagues from the School of Public Health at both La Trobe and more recently Monash University”. The Medal will be presented by Dr Malcolm Jenkins, Chair of ANZAAS, at GTAC, corner Story St and Royal Parade, Parkville, Victoria, on 17th August 2016.